Jurica Babić, TeamSoc21 Project Manager, has participated in the training seminar on dissemination and impact in strategic partnerships (Bordeaux, 21-23 March 2018). 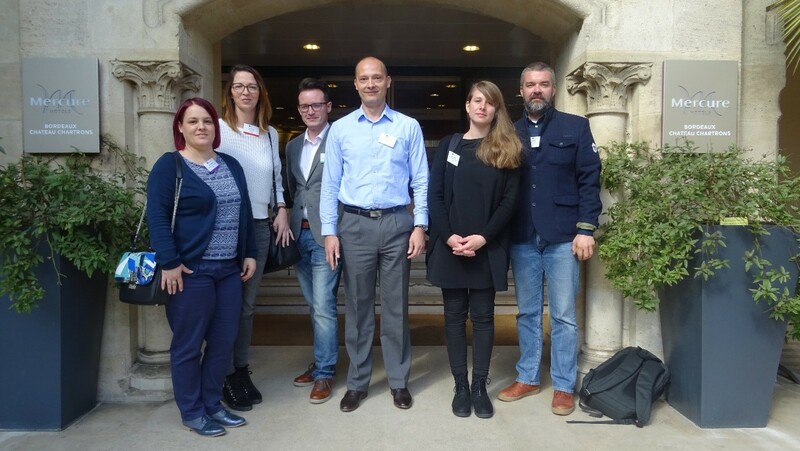 The seminar was organized as the Erasmus+ transnational cooperation activity (TCA) by the Erasmus+ National Agencies of France, Luxembourg, Croatia, Belgium and Finland. In general, the activity consisted of two intertwined topics: a) impact of strategic partnerships and b) dissemination of project’s results. Each of those topics was tackled from theoretic and practical perspectives. In particular, on Thursday (March 22) participants had morning lectures related to impact in strategic partnerships. The morning session was followed by an interesting afternoon session in which participants exchanged practices by working closely in workshop groups. The final day of the seminar (Friday, March 23) retained the same structure (i.e., morning lectures and afternoon practical work) while focusing on dissemination of project results in the context of strategic partnerships. It is widely expected that valuable skills and knowledge, related to dissemination of project’s results and project’s impact, will prove to be highly beneficial for the on-going TeamSoc21 project as well as for future Erasmus+ applications.